One of my goals for the last few years has been to reduce my fabric stash. This means bringing in less fabric than I use up, give away, or destash. Tracking my yardage each month has been a huge key to meeting that goal. I am now in my fourth year of tracking my fabric yardage, and I thought it would be a good time to share what I've learned throughout this process. This is all based on my personal experiences and what has worked for me. There is no wrong way to manage your stash. For many years I didn't worry about managing my stash at all, and that's okay too. No judgement either way! If you are at all curious about yardage tracking, I encourage you to give it a try. Commit to a single month of tracking and see what happens! It can be as complicated or as simple as you'd like it to be. I have a big post with details on how I track my yardage and also some simplified options too. 1. Fabric I actually need to complete a project. 2. Fabric I really love. 3. Fabric that's on sale. 4. Fabric I'm afraid of missing out on. 5. Fabric I buy on a whim, as retail therapy. Keeping track of all my fabric purchases helped me become more aware of what I was buying, how much, and how often. I didn't think I was buying that much until I had to input each purchase into my spreadsheet and reality sunk in! This is not to say buying fabric for any of the above reasons is bad, but with this understanding I can evaluate my potential purchases better. Being able to ask myself why I'm buying fabric not only stops me from bringing in too much, it also stops me from buying fabric I don't like that well or won't actually use. And it means I don't feel guilty treating myself to fabrics I've lusted after for months! For me, it's all about the numbers. 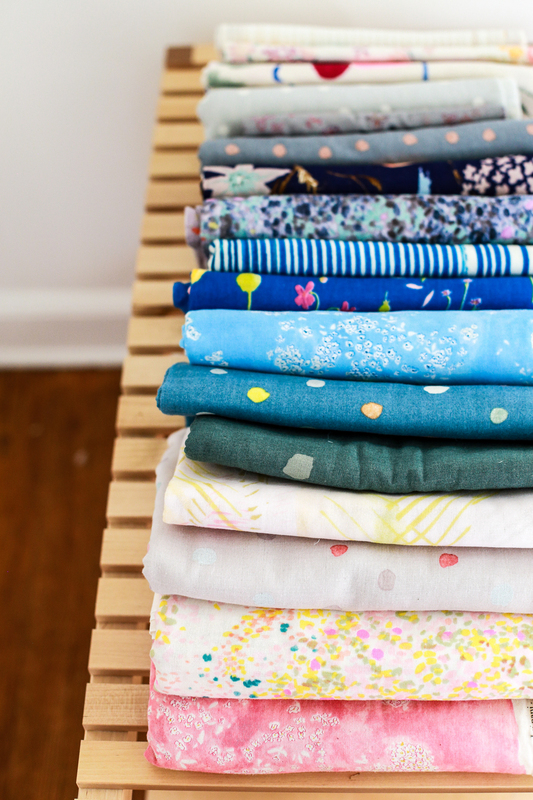 It's hard to get your fabric buying under control if you have no idea how much yardage you're buying or how much you're spending. Keeping track of it takes all the guesswork out and can help you make some goals for how you'd like to change your stash habits. Challenging myself to reduce my stash every year has given me a new perspective on the phrase "Make Do and Mend". Making do doesn't have to mean choosing an option that's second best. Making do with what you have can push you to make choices that you wouldn't make if your options were unlimited. It has forced me to be more creative with the fabric that I have. Now when I'm planning a project, I consider all the ways I can make it without purchasing anything extra first. Sometimes I still end up needing to buy something, but that's now the second option, instead of the go-to. An unexpected bonus to keeping track of my yardage was how much it motivated me to finish projects. There are definitely months where I buy too much fabric and finish up a few things at the end of the month to help balance my totals. It's also very satisfying to be able to visually see a list of the things I finish each month. Any extra motivation to finish up old languishing projects is very welcome in my craft room! This was a big one for me! 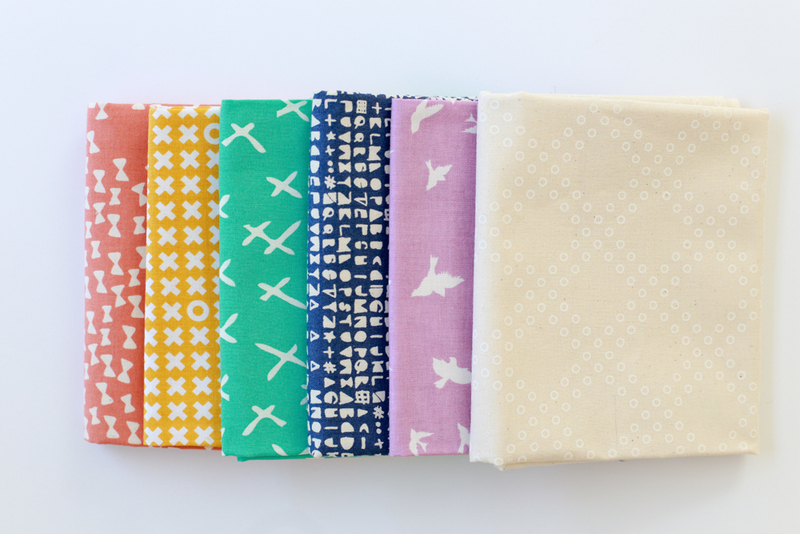 By cutting back on my sale fabric buying and buying in general, I can buy fabrics that are a little more expensive. Instead of buying two yards of quilting cotton, I can spend about same and buy a yard of Japanese double gauze, or half a yard of Liberty lawn. Being able to think about my fabric purchases in this way has taken away some of the guilt for splurging on something a little fancier. Sharing fabric with friends became twice as fun! Not only does it feel nice to share, I get to subtract fabric I give away in my tracking. Plus it's really fun to see those fabrics pop up in someone's project, often times in a way I wouldn't have imagined using them. At our yearly cabin retreat we always have a fabric table where we share fabrics and notions from our stashes. You could do something similar in your sewing group or guild. We all end up with fabrics in our stash that aren't our favorite or we don't know how to use, this is a simple solution for some of those! Turn stash management into a game and do it with a friend! It's great to have someone you can check in with. You can keep each other accountable and cheer each other on! Plus, everything is more fun with a friend anyways. For me, this is the secret reason it all works. Knowing that I will be sharing my progress each month in my Monthly Report posts is a huge motivating factor for me. I don't want to be embarrassed about how much fabric I buy in a given month! Finding some way to hold yourself accountable can help you stay focused on the task. Share your progress regularly with a friend, on your blog, or on social media. When I first started tracking my fabric yardage I had really good intentions. I didn't think it would be that hard to bring in less fabric than I used each month. Those first six months were a wake-up call. I didn't think it would be hard because I had no idea how out of control my buying had become. I was finishing a lot of projects, but it wasn't enough to offset everything I was bringing in. All of this to say that it took time to change my habits. I had to retrain myself to pull from my stash first and to just buy less. It meant being patient and sticking with it, even when I felt like I wasn't making any progress. How do you manage your stash? Do you keep track of your yardage, buying, or finishes? What has worked for you, and what hasn't? This was a thoughtful, helpful post. I get sweaty palms thinking about tracking my fabric, both stash and usage, because I have obsessive tendencies :) But I think I could start by ballparking my stash based on # of fat quarters and yardages, and go from there. I love that you are using what you have in such beautiful, creative ways! What an inspiring, motivating post! That's a great idea! I think you could still gain a lot of insight about your habits with a ballpark! I don't track fabric purchases, because for me, that keeps the focus on fabric purchases. I don't want to say at the end of January, "yay, I didn't buy any fabric in January". Because that makes me think about buying fabric when I wasn't thinking about it. My way to control my purchases is to simply stop impulse buys and only buy fabric when I need it for a particular quilt I am making. Logically that makes more sense to me, because that is how I handle other purchases in my life. Buy it if you need it, don't buy it if you don't. Whatever works! That's a great way to think about it too, takes the power away from the "buying"! I’ve tried fabric tracking off and on thanks to you. It’s a good, eye opening exercise. I can attest to the fact that having a challenge to use what you have on hand can really encourage creativity and produce great things. I love what you’ve written here. Thanks for sharing! I'm glad! A good challenge is such a great way to mix things up! I love your 5 categories. Yep. That's me, spot on. Most of these "controls" I have kept myself for some time and for the same reasons. The result is that yes, it forces my creativity and keeps me to just a few projects at a time. I keep my fabric confined to one cabinet (and then some bolts next to it) where I can see at all times how I'm doing at controlling it--and I've always felt pretty controlled, though lately the local shop's "end of the bolt sale" ($4/yd! hello!) has had my "for backings" collection growing way too quickly. I'm not admitting to how many bolts I have currently but I gotta cut myself off for a while! Most are lined up for specific projects so at least there's that! Good article. I love that, and do the same with my yarn! If it starts to not fit in the bin, it's time to use it up! Backings are also my weak spot, but such a great way to take advantage of a good sale. It's a constant balancing act! Thanks for sharing, you did a nice job encouraging us with the benefits you're experienced in your process changes. I have such a huge stash (to me) that I don't want to use the time to figure out my baseline. So, for me, stash management really means that I have room to store what I've bought. I do go through my Fabrics regularly to donate osé I'm no longer loving. I donate to a local senior center's sewing program and recently found the Navajo Quilt Project (google it) and send fabric to it. I do like this post and it gives me lots of food for thought. Same here, I would never want to count up everything I've got! I start each year at 0 and just track the net amount. I totally agree with everything here! I have been tracking my fabric for about 3 years after reading your posts. 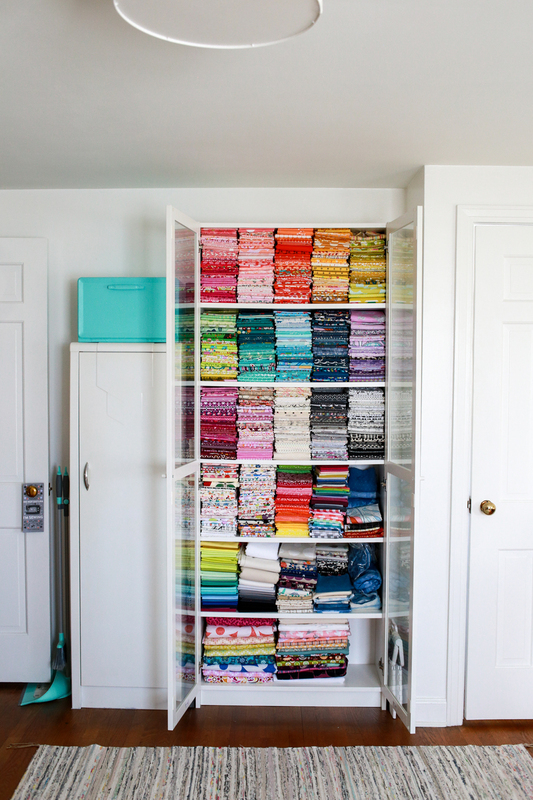 Not only have I seen a decrease in my fabric stash overall, but I've seen an increase proportion of fabrics I love! 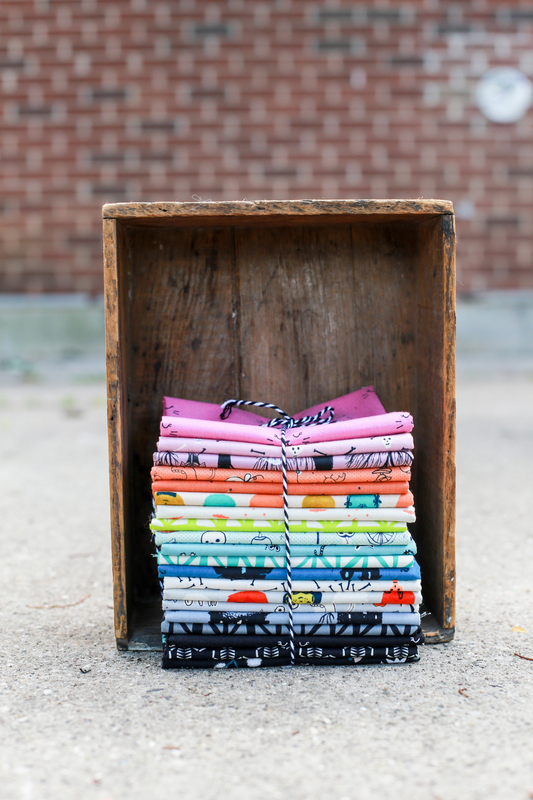 Great post, including the methods you use to inventory fabric. I haven't been quite that detailed, but I did find a useful spreadsheet about a year ago that I've been using to track purchases as well as amounts sewn. It's been really helpful. In that year, I know I've purchased 62 yards of fabric, but I've also sewn 147 yards. This has really helped me resist buying before figuring out if I can use what I have. The other thing that has been a huge help to me is when I finally caved and went for your method of folding fabric. I did that a couple of years ago and was amazed at how much fabric I had that I had forgotten about. 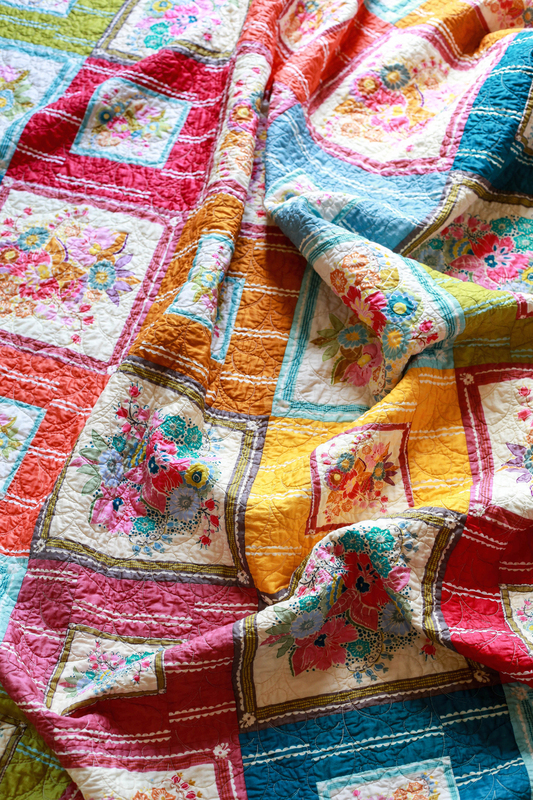 This year should see a lot of scrap/donation quilts and a big reduction of stash. Thanks for your great blog and give George bunny a pat from me. That's awesome! I'm glad that getting everything folded the same helped you! It's always fun rediscovering treasures in your own stash! I am guilty of saying to myself- That is the most beautiful fabric I have ever seen, so I have to get it. Then one day my friend said to me,'You know, I hear you say that every week.' LOL....EEP! I also had a growing credit card bill that I just couldn't get back to zero. I did a soul-search and created a way to track my spending plus my UFOs. I have a spreadsheet that lists every quilt top I have and in what stage of completion they are in. Wow! I think I am up to about 65-70.....yes 70! I tracked my spending in 2017 and 2018- $3000 each year on fabric. What!?? That was over the top of crazy since I have so many UFOs. 2019- I am only spending money on fabric that I 'need' to finish a quilt. The rest of the time, if I get the creative bug to start a new quilt top, I go to my own stash and get creative with what I have on hand. I also have a mid-arm quilting machine at home, so I quilt my own quilts which is a blessing. I am excited to say that in 2019 so far, I have only spent $165.00, but that is for a commissioned quilt, so I don't count that since I will receive a payment for the quilt. Once I realize that there will be beautiful fabrics available in the future with no shortages in site, I stop hyperventilating and force myself to walk past the fabrics or just avoid the stores altogether. My stash is depleting nicely, my credit card is almost back to zero- yay, and my UFOs are getting completed. Yay all around! I find it takes a tough discipline, patience to change and a good friend who keeps me accountable. I've definitely done that too, there are just too many beautiful fabrics out there. That is awesome, keep it up!! The fear of missing out on good fabrics is so real! 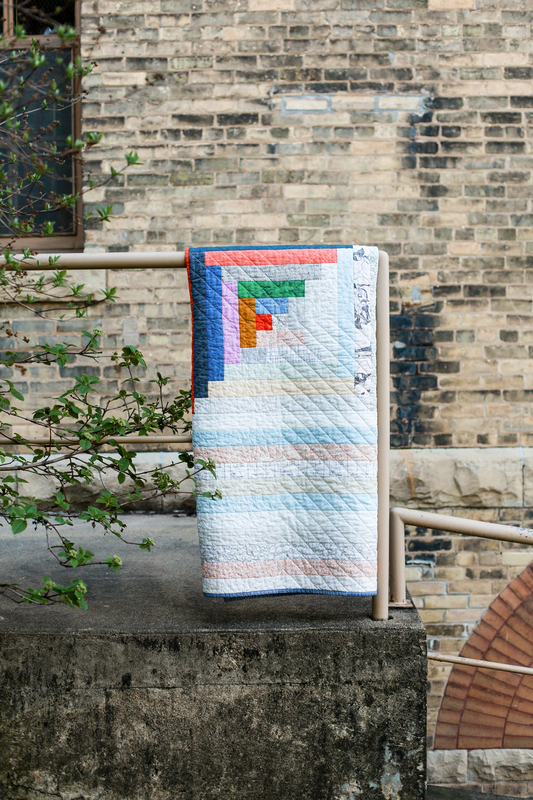 Last year our guild held a "quilter's garage sale." 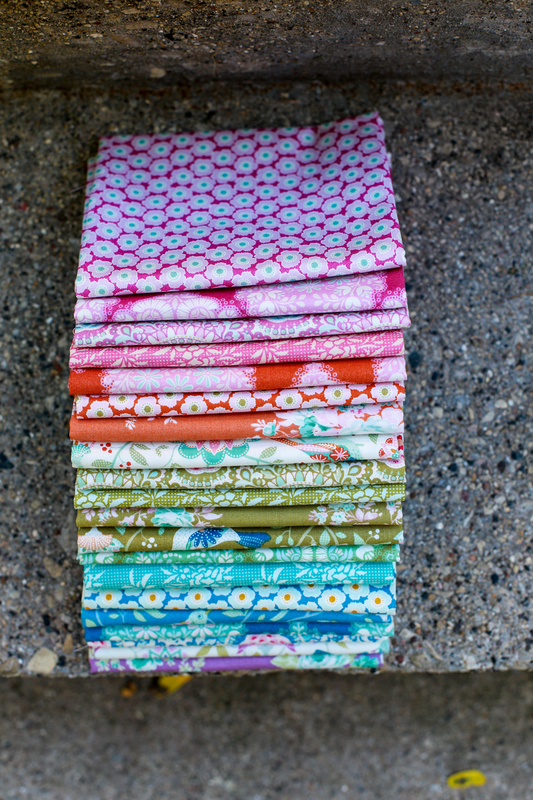 I de-stashed at least 30 yards of fabric, several jelly rolls, 3 kits, and a multitude of fat quarters. Funny how I was no longer in love with those fabrics . . . The stash is still too large, and I will need to be more ruthless next time. My bad habit is buying fabric with no plan of how to use it. If I have no plan, how much of that fabric should I buy? In my case, the answer has to be "none," at least for now. I am using my stash, and will continue to work from those fabrics, but I have to restrain my purchasing to only what is necessary to finish something. Your blog post has provided great motivation! Oooh, love that! I bet that was so fun! I know what you mean, I have a hard time deciding how much to buy too. If I don't have a plan I try to stick to a fat quarter or half yard at most, but it's hard! And as a follow-up to my previous comment: So far this year I have purchased 2 kits (one of those tops is done, at least), and about 14 yards of fabrics from a single line because I loved the feature fabric and bought the rest to go with it, no plan in mind! So I am NOT off to a good start in 2019. It happens! There are some months where I buy nothing and others where I buy 10+ yards! It all evens out if you stick with it! I had a four day weekend after Christmas and I chose that first day to actually iron and count all of the Christmas fabrics I'd been hoarding for about five years. I knew the bin was full but I had no idea of the yardage in the bin. I ironed it all and set about cutting and planning. 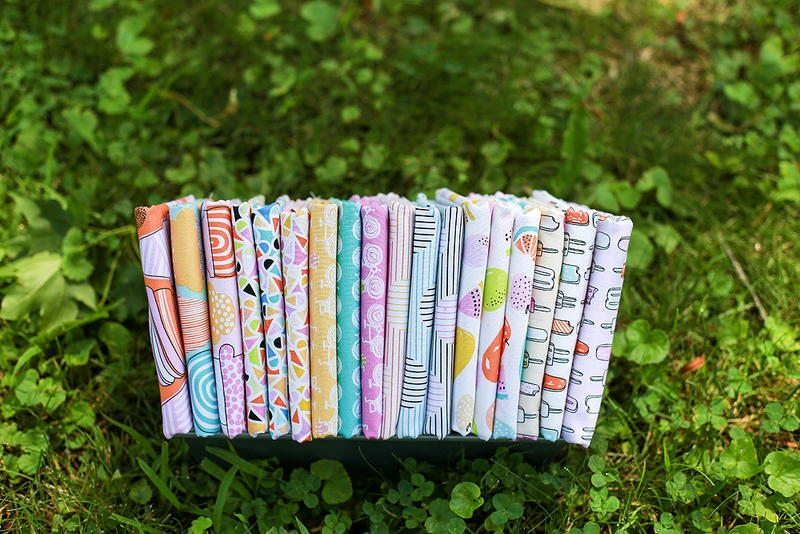 I am embarrassed to say how many lap quilts and baby quilts I cut using only fabric in the bin. 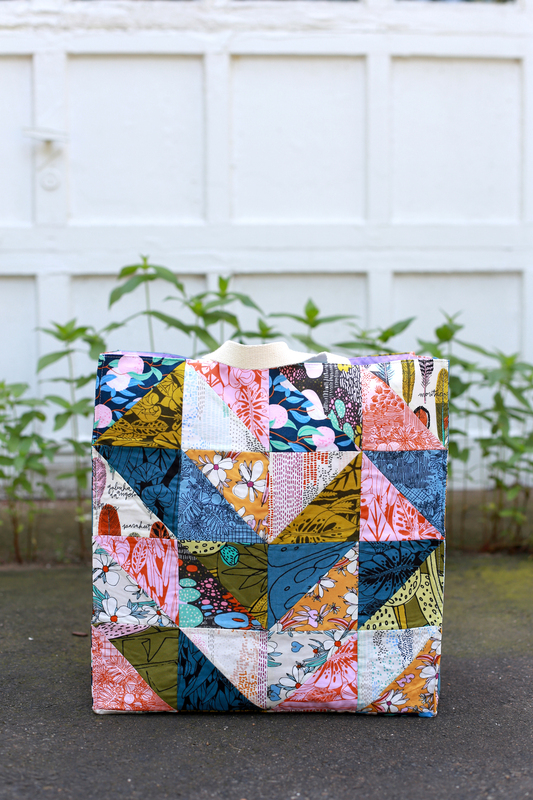 I did use a white background fabric for one quilt but otherwise, I used what's in the bin. I've finished two baby quilts and a lap quilt so far. One of the bonuses was having everything cut and ready for a three day sewing retreat. I knew what I was going to be working on. I have enjoyed working with these holiday fabrics over the last few months. Still many hours of stitching to do before all of the projects are finished. completely amazing and very inspiring Jeni. Of course I always love what you make. I know that sometimes there are fabrics I am sick of, but then I realize I can pair those up with pretty fabrics and it is wonderful what turns out! I join with everyone else is really appreciating these posts. They have helped me get a grip, too! I'm on a mission to use 20 yards/month, but I think I'm not going to make it. Doing some disposal other than sewing it up is probably what I need to do. My other rule is NO BUYING AFTER DARK! My resolve is so weak in the evenings as I look at online shops, so now I put it in the cart, but no "buy" until the next day. Nearly always, I am able to empty that cart. I haven't done a count-up of what I have - it is SO MUCH. I inherited my late mother's stash which really put me over the top! So, my question is - over a year's time, how much yardage have you reduced your stash by?? Looking for a realistic idea for my own usage! Oh my goodness, same! I have made some questionable purchases after 9pm. Love the idea of filling up a cart and checkout out later. Let's see, in 2016 I reduced by 250 yards, in 2017 I reduced by 295 yards, and last year I reduced by 81! I’m 71 and way back in the 90’s we purchased fabric by the carload and did not realize that there would always be more gorgeous fabrics in the future. And we did not realize that fabrics are trendy and we would hate that old stuff now that our tastes have changed. A lot of us boomers are putting the brakes on buying and I think the younger people don’t buy like we did because they KNOW that there will always be more gorgeous stuff. So that is impacting the small quilt shops, several of which, in my area have gone out of business! I am worried about them, although I have put the brakes on buying too. Reading your post has re-inspired me to get busy and use my stash first before buying. It's especially helpful to consider the different reasons for why I buy. Sales are always tempting and yet don't always fulfill that need for buying something I love. Now I'm off to read your other post about how you track things. Thanks for sharing your process. Thank you for taking the time to share your fabric buying experiences. I'm really trying to cut back, but it sure is hard! The fear of missing out on the latest fabric collections can be pretty intense. I feel like I have to 'stock up' before the best fabrics are all gone. But, with this way of thinking, I'll never have enough: never enough time to sew with all the fabric I already own, never enough money to buy everything I want, never have the feeling of being 'done' with buying, etc. I look forward to continued inspiration from your thoughtful fabric purchases!